Business Week has published an article on IT investment prospectives in Belarus, that almost sounds overoptimistic. What is definitely overoptimistic is the ad-like chart comparing Belarusian economy to its neighbours. 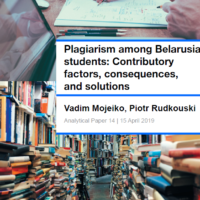 Still, everyone involved seems to be aware of the liability of the Belarusian statistics and the risks of doing business, for which Belarus has been infamous in the past. Coming back to the article itself, IT and offshore programming is indeed one of the few promising sectors in Belarus. It is not dependent on cheap Russian oil supplies (like oil refining) and neither is a legacy of the Soviet era with questionable ability of adaptation to a free market environment (like the Belarusian machine building). If choosing a sector of the economy that would become the first serious in a market-oriented Belarus, programming and software development would probably be the option. The problem is that there is so far nothing more then that. French software startup Abaxia was hunting for an offshore research and development site in 2006 when one of its employees suggested taking a look at his native country, Belarus. “I had to get out an atlas to be sure where it was,” recalls Ongan Mordeniz, Abaxia’s R&D chief. Today, more than half of Abaxia’s employees work in the former Soviet republic of 9.5 million, wedged between Russia and Poland on the EU’s eastern rim. The company and two affiliates employ 85 engineers at a software development center in Minsk near the former Communist Party headquarters, which is now President Alexander Lukashenko’s residence. They’re among an estimated 10,000 professionals working for outsourcing operations in what is now the region’s No. 3 country for such shops, behind Ukraine and Romania, according to the Central and Eastern European Outsourcing Assn. Where is Belarus in International Rankings? Below is an overview of position of Belarus in various international rankings. The overview suggests that although human potential of the country is relatively good, the country has serious problems with freedom. As a result, the realization of this potential is blocked. Freedom Freedom House measures freedom in its annual publication "Freedom in the World 2009", which includes review of political and civil liberties in the world in 193 countries. Belarus is in the category of “not free” countries. In the category of "political rights" Belarus ranked the worst with 7 points, in the category "civil liberties" – 6 points. Overall assessment of democratic freedoms in some other countries included in the study of "Freedom House": Czech Republic (2,18), Estonia (1.93), Lithuania (2,29), Moldova (5,07), Poland (2,25 ), Ukraine (4,39). 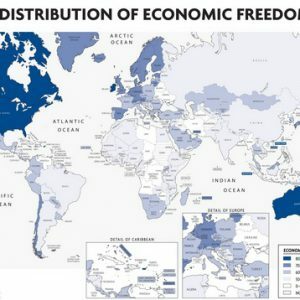 Economic Freedom Heritage Foundation and the The Wall Street Journal – overview of economic freedom in the world in 179 countries. As a result of 2009 Belarus received an overall assessment of 48.7 points and occupies the 150-th place. Among the worst post-Soviet countries behind Belarus are Uzbekistan (158), Ukraine (162) and Turkmenistan (171). The highest index of economic freedom in Europe is Ireland (81,3), which occupies the 5th place in the ranking. At the bottom of the ranking are Cuba, Zimbabwe and North Korea. Internet Freedom CryptoHippie monitors Internet freedom in 52 countries. Belarus – the third worst country in terms of Internet control. China is on the first worst country, North Korea – the second, and Russia – the fourth. Human Development The United Nations Development Program ranks countries according using Human Development Index. Belarus is ranked in the category of "High Human Development" and occupies 68th position out of 182. This index takes into account statistics for life expectancy, education, and GDP. Norway has the highest Human Development Index and Niger the lowest. Approval of the Country's Leadership Gallup organization assesses approval of the country's leadership. Here is their percentages of people who approve their leadership. Belarus – 46% Russia – 56% Ukraine – 4% Corruption Transparency International evaluates perception of corruption (according to expert estimates) in 180 countries. Belarus is ranked 139th. Sovereign Credit Rating For the first time in its history, Belarus received its credit rating in 2007. Then it was defined as stable. Sovereign credit rating is considered by foreign investors as an assessment of investing in economy of a particular state. On 1 July 2009, international rating agency Standard & Poor's announced sovereign credit rating of Belarus: long-and short-term rating on liabilities in foreign currency (B + / B) and long-term and short-term ratings of obligations in local currency (BB / B). The future outlook of the country is negative. Doing Business According to the 2009 Doing Business report published by the World Bank, Belarus occupies 58th place (out of 183). According to the ranking, it very easy to start a business but extremely difficult to pay taxes.